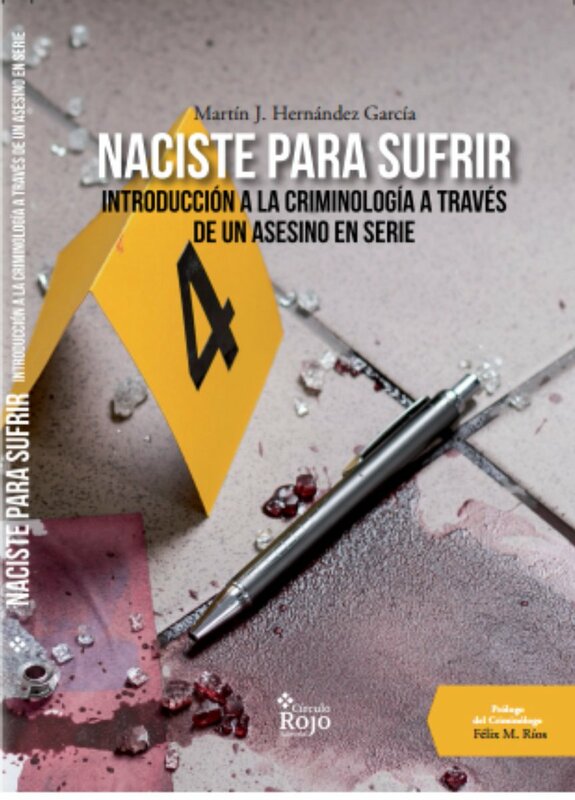 CRIMENYCRIMINOLOGO: BRENT E. TURVEY: "CRIMINAL PROFILING REQUIRES SERIOUS PROFESSIONALS WHO ARE FULLY EDUCATED". BRENT E. TURVEY: "CRIMINAL PROFILING REQUIRES SERIOUS PROFESSIONALS WHO ARE FULLY EDUCATED". Many of the best criminal profilers in our country have gone through 'CrimenyCriminologo'. But in this new entry we have set out to go a step further, to offer our special Christmas gift to all those who are interested in this beautiful science of Criminology. Therefore, we have decided to move to another continent to interview one of the most influential scientists in international criminal investigation. We are speaking, nothing more and nothing less, than the famous Doctor Brent E. Turvey, who has several academic degrees in Psychology, History, Criminology and Forensic Sciences and who for 20 years has served as an expert consultant advising multiple criminal investigation agencies. An expert that perfectly dominates the areas related to Criminal Profiling, Victimology, Crime Scene Investigation, Sexual Offenses Investigation, False Testimonies and Reconstruction of the Crime Scene. His many articles and research books stand out, among them that shine with their own light, for their academic, scientific and ethical rigor, 'Criminal Profiling: An Introduction to Behavioral Evidence Analysis'. 1. What is Criminal Profiling and how did it emerge? Criminal Profiling is the inference of offender characteristics from indirect evidence such as idiographic behavior or nomothetic statistics. It was the original means for identifying criminals, for hundreds of years, prior to the employment of physical evidence. The first uses include the identification of witches during the Spanish Inquistition, and the idnetifcation of Jews. This was of course centuries ago. 2. What is best way to conduct a criminal profile and which are the key elements to do it? By examining phsyical evidence, crime scene characteristics, and victimology. If you do not do these things, then you are not a criminal profiler. They key element is that all criminal profiles all written. If you are not writing them down, then you are not doing it correctly. 3. How does Brent Turvey come to become one of the best, if not the best Criminal Profiler of the World? I studied under the smartest people in the world, and work only with the best and most ethical professionals. 4. A large part of society has a hard time believing that Criminal Profiling is a scientific process and they see it more as a simple TV entertainment resource or just an opinion or invention of the profiler. Some profilers a quite incompetent and unethical. Just as in any profession. The way that you know a profiler is competent and ethical, is with two questions: how many profiles have you written, and how many times have you testified in court. If they are not writing profiles and testifying, then they are not competent and scientific. 5. Which case, among the ones in which you have worked, has impacted you the most? They all change me in different ways. Each case changes me and teaches me something new about evidence, victims, offenders, and the criminal justice system. 6. What qualities would you say that a person who wants to engage in criminal profiling must have? Ethics, the ability to write, critically think and read. If you do not have these qualities, you will be a terrible profiler. If you have them, you can do anything. 7. At what point in a case should a criminal profiling be carried out and what percentage of responsibility can have a criminal profile in the success of the case? Early on, a preliminary profile called a threshold assessment is best. But it really depends on the case. And the success of the profile depends on the competence of the investigators usuing it. Many great profiles are shoved in the drawer or ignored by lazy investigators. 8. In which cases it is not possible to do or not suitable to carry out a criminal profile? When there is insufficient evidence, from lack of investigation. Very often profiles will be prepared base don guesswork rather tan actual evidence. This is highly unethical. 9. A few days ago I received in Madrid your three volumes of Criminal Profiling, Spanish edition. Firstly, I would like to thank you and the Forensic Press for making it possible. 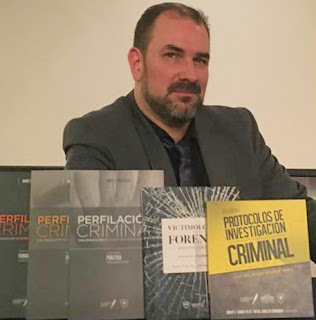 Secondly, many people have visited www.crimenycriminologo.com and have an interested in them, so I would like to ask you how is it possible to obtain them in our country. 10. If you would like to tell us something else, we are glad to know more. Criminal profiling requires serious professionals who are fully educated. There are many frauds in the forensic science and criminal profiling community. Real professionals must be capable of identifying them. And of meeting their profesional obligations to the criminal justice system.